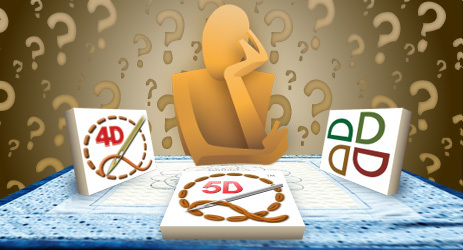 Your recommended software is 5D™ QUILTDESIGN CREATOR Standalone. This is a standalone product complete with a purple dongle (copy protection device). The package also includes a software CD, sample files, help and a printed User Guide. Visit your local authorized sewing machine dealer to purchase the package today! Your recommended software is the 5D™ QUILTDESIGN CREATOR Internet upgrade. It is cheaper than the boxed package, as you already have a dongle. Purchase your software on the Internet, download and start using it immediately! The download includes software, sample files, help and a pdf User Guide.